The People for Elmhurst Parks Foundation is a grassroots 501(c)(3) organization founded in 1985 to work in partnership with the Elmhurst Park District on special projects consistent with the Park District’s mission of providing open space, beauty, and recreational opportunities for the community. Projects are selected each year that help add value to the Park District, going above and beyond what can be provided with limited tax dollars. 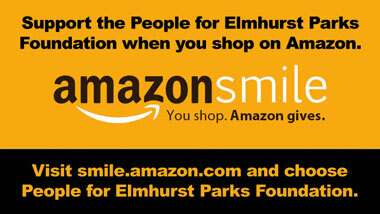 For information on donating to the People for Elmhurst Parks Foundation, please call (630) 993-8924 or email pep@epd.org. If you are interested in becoming a PEP Board member, committee member or volunteer, please fill out the PEP Membership Application. For more information on the PEP Board or volunteering with PEP, please call (630) 993-8924 or email pep@epd.org. Money is raised throughout the year to provide financial assistance to disadvantaged Elmhurst families to allow them to participate in District recreational programs. Families must apply for this assistance through the District’s registration department. To donate to the program, send a check to PEP, P.O. Box 1303, Elmhurst, IL 60126 or donations are possible as a line item on all District registration forms. This fund was created when the Wilder Mansion was renovated in order to provide dedicated funds toward the continued historic preservation of Wilder Mansion. Donations can be made to PEP; Wilder Mansion Endowment Fund, P.O. Box 1303, Elmhurst, IL 60126. The People for Elmhurst Parks have played a significant role in providing support for value added Park District projects, raising over $500,000 since its inception.